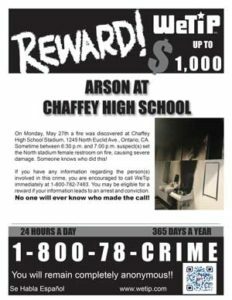 Vandalism at Montclair High School | WeTip, Inc.
Chaffey JUSD, CA... On Wednesday, May 23rd Montclair High School, 4725 Benito Street., Montclair, CA, was vandalized. 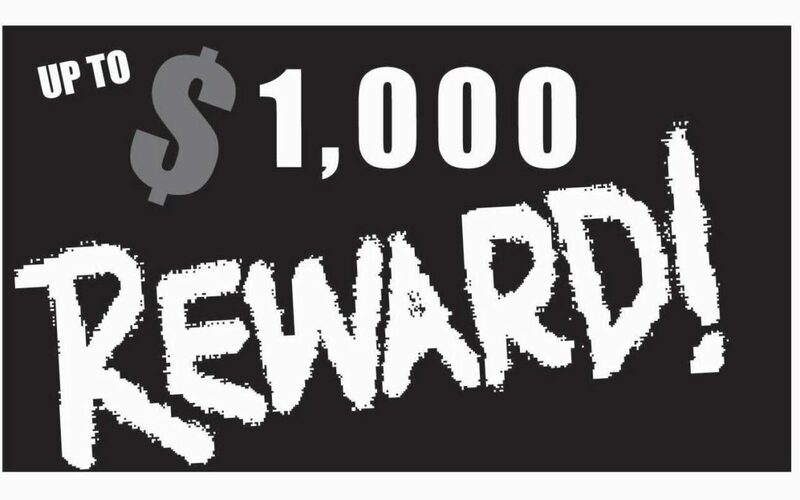 At approximately 9:20 p.m. a maroon Honda Civic/Accord was seen near the 2 school vans. Suspect(s) broke 14 windows out of the 2 school vans. Someone knows who did this! WeTip celebrates 46 years of fighting crime this year. Over 1.3 million crime reports have come into WeTip since it was founded in Ontario, California in 1972. WeTip urges people that have information about any suspicious activity or criminal behavior to call WeTip's National Hotline at 800-78-CRIME or visit wetip.com to submit a tip. WeTip takes tips 24/7/365. All tips are absolutely anonymous, no one ever knows who made the call.